It’s time to pack away the winter blanket and the scarves and break out the tanks and running shoes, as we finally bid farewell to winter and welcome warm weather here in the Philadelphia area. Nothing says spring more so than flowers, but why just observe your favorite buds from afar at local parks? With a backdrop like your Canvas apartment, you can put your floral flair to good use and bring some added color to your living space—which will put a little extra spring in your step! Petals Florist: Petals, four miles from your Canvas apartment, has blooms for all occasions: to impress your sweetie on your anniversary, to say thanks to the ladies in your life on Mother’s Day or just to bring a little extra brightness to your apartment. Petals sells a wide range of spring bouquets, which feature a range of seasonal flowers for customers to choose from. Arrangements Unlimited: About 3 miles from your Canvas apartment, Arrangements Unlimited strives to help customers embrace their imaginations when it comes to floral design. The shop can craft everything from simple bouquets to elaborate, extravagant centerpieces. No matter your taste, Arrangements Unlimited aims to work to bring your vision to life. King of Prussia Flower Shop: The shop, 2.5 miles from your Canvas apartment, features hand-arranged designs suited for any living space. 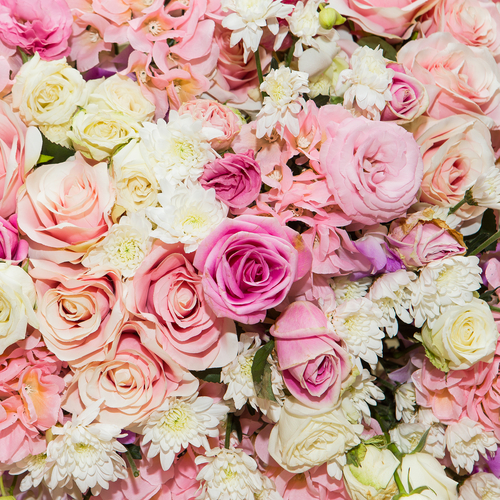 From silk and dried floral selections to tropical and plants to a dizzying array of fresh flowers, King of Prussia Flower Shop’s products can make your home spring-ready in a snap.